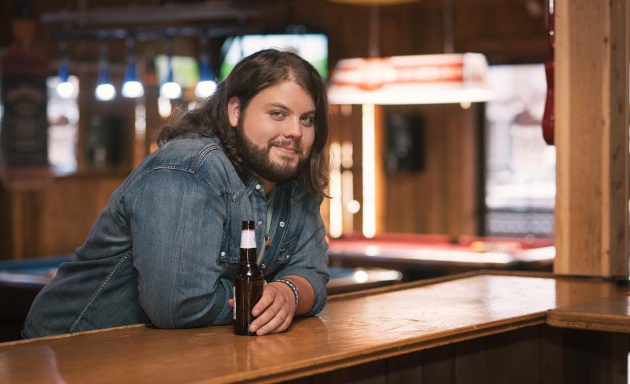 Those paying attention to the doings in traditional country have been salivating for the eventual release of Dillon Carmichael’s debut album for a while now, and now we have all of the details. Called Hell On An Angel, the Dave Cobb-produced record will be hitting shelves on August 17th via Riser House Records, and that’s a hell of a long time to wait after Carmichael has wet our whistle with some very promising songs ahead of the release. Only in his mid 20’s, you may be surprised that the love of traditional country music is so strong in him, but the pedigree and promise in his young career is definitely present. 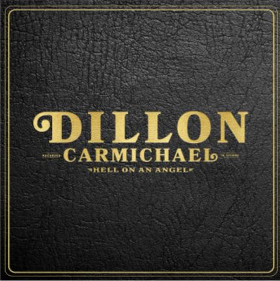 From the tiny town of Burgin, Kentucky, Dillon Carmichael is the grandson of Harold Montgomery, who was a respected Kentucky country singer, and Harold Carmichael, who was a member of The Carmichael Brothers. More famously, he’s the nephew of country music performers Eddie Montgomery, and John Michael Montgomery. Dillon first signed a songwriting deal before he finished high school at the age of 18, and in September of 2017 he signed with Riser House. Now he’s about to put out a debut record with one of the hottest producers in the business, and with a bunch of buzz behind him. Co-writing 8 of the 10 songs on Hell On An Angel, the album also sees songwriting contributions from Jon Pardi and Leroy Powell. Leroy Powell also plays guitar on the album. Other players include steel guitar legend Robby Turner, drummer Chris Powell, bass player Brian Allen, and others. Joining the already-released songs of “Old Songs Like That” and “It’s Simple” is the title track on the new album (listen below). Wow, he sounds like Uncle Eddie on that track. If song titles are any indication, I’m excited. Sounds great! I really liked his first song he released. This one has a Skynyrd / Travis Tritt feel. I loved Old Songs Like That (first time I’ve actually bought a new country track on iTunes in ages) but the two follow-up singles were a bit boring and generic for my tastes. He has the right voice to do a Travis Tritt-esque thing with his songs, which I feel is a style country desperately needs. I’m definitely looking forward to this. Great sounding song – shame it’s the same title as a Brantley Gilbert song from seven years ago. And another one of the songs in the track list shares its title with a Lady Antebellum hit but is also not the same song. Dumb smart phone ! I was saying , the album cover is a clear nod to Waylon. Anyway, here’s hoping he puts on a good live show. On a positive note kentucky, my home state, has been killing it lately. Dude looks like eddy shaver and shawn lane, also awesome. count me in on this one! Dude, you’re not gonna out-Whitey-Morgan Whitey Morgan. But I love that you’re trying!!!!! Honestly not getting a Whitey Morgan vibe off him at all. I see this as more off the Jamey Johnson tree, but with a little more enthusiasm behind the music. Interesting, I can’t say I’m getting a Jamey Johnson vibe from this – nor Whitey. But hey we all hear things our own way, which is how it should be. Thanks Trigger for continuing to point out great new artists and songs like this. I was going by this song only. When I heard it I instantly had a vision of Whitey and the ’78s rocking the %!#@ out of this song. I think the other songs I’ve heard sound closer to Jamey Johnson, but with an element that’s all his own. Cool to see an Anthony Smith co-write. “John J. Blanchard” is one of my favorites from my high school drinking days. Looking forward to this. I’m confused at the decision not to include ‘Old Songs Like That’ & ‘Made To Be A Country Boy’, as this is his debut album. Yes this is very strange, even though those songs are still on Spotify, so it’s not like they’re holding them back for another album. Perhaps this will make more sense down the road. “Old Songs Like That” also had a video. Also, perhaps Dillon or Riser House will see the numerous comments above about ‘Old Songs’ and reconsider adding Track 11 & 12. God knows they’ve got plenty of time! Probably because they weren’t produced by Dave Cobb for this album. If I had to guess. Didn’t care for this nearly as much as the previously released songs. Same. Seems to me that when Dave Cobb gets ahold of someone, I tend to enjoy their music less and less. I’m not a Dave Cobb hater, I can see the huge impact (and can most definitely appreciate it) he’s having on independent/non-mainstream/alt-country/whatever, but my personal taste in what I like doesn’t include much of the albums he’s recently produced. Old Songs Like That was awesome. This particular song was a huge let-down when I hit play. I’ll give the album a chance, but its not as high on my list of priorities as it was previous to now. This is a little over the top on the “let’s see if we can make a retro Skynyrd tune” and comes off as a bit over-produced. His other song “It’s Simple” has that annoying made-for-radio chorus structure. Hopefully the rest of the album is less over-thought, more organic, and shows at least some of his own touch. But…….if he is able to make inroads into radio or mainstream “country” with any of this, it will be a win for country overall. It sounds like that is the angle that they are taking, which might just be his best and most noble use with a voice like that, and at a time when it feels like the door is beginning to be opened for better acts to start getting more mainstream industry attention and support. Looking forward to it, but I hope the rest of the album sounds more like Old songs like that than this song.